Get your logo printed on a cheap priced Promotional Blanket. Apps include any logo event, low cost promotional products. 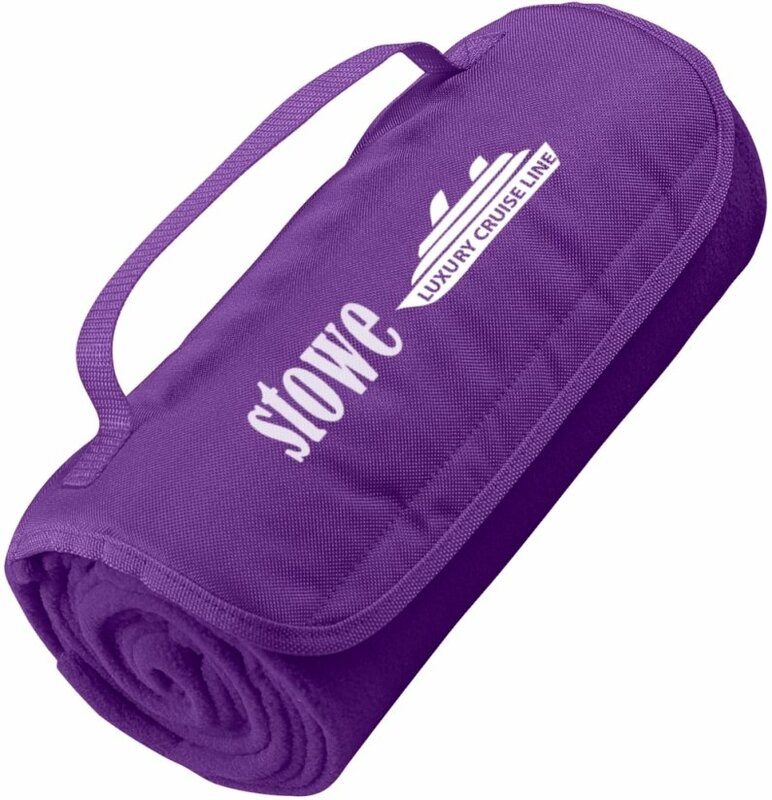 Polyester fleece roll up blanket with a velcro type closure. Handle is attached for easy transport.10 Blanket Colors. Overall size of the promotional blanket is 48" w x 53" h.
Delivery from date of a blanket order usually 3 weeks. Price includes one color imprint on flap area 5 1/2" w x 2" h.
color add a setup and running charge of $.55 each.